Regent Park Film Festival is seeking proposals from emerging to mid-career Indigenous media artists and media artists of colour across Canada to create short (5-10 minutes) works that engage with personal or institutional archives and reflect on how they shape our understanding of the past, present and future. This commission is part of Home Made Visible, a national project that will expand the representation of Indigenous and People of Colour in Canada’s media archives. The commissioning component will engage three Indigenous media artists and three media artists of colour to create works that explore how archives shape the ways we remember, engage with colonization and think about collaboration and coexistence between our many communities. Each artist will receive a cash contribution of $6,000 to support creation and production costs. Additional support towards production will be sought through partnerships with local artist-run centers. Toronto artists will be supported by Charles Street Video, and where possible we will work negotiate relationships with other artist-run centers. Artists may contribute additional revenue, raised independently, to their project. All additional costs associated with the project, including travel and accommodation are the responsibility of the artist. All rights and screening fee revenues generated by the films belong to the artists. Participants will be invited to participate in a one-day symposium in Toronto, where they will have the opportunity to share work or ideas in development, meet other participating filmmakers and artists working on similar thematic concepts and ideas. Completed projects will be screened at the 16th Annual Regent Park Film Festival in Nov 2018 and toured through five library systems in Canada in 2019. Interested applicants must submit a pdf. document which includes an artist statement, a one-page proposed budget, a suggested timeline for production, the principal artist’s CV and links to the artist’s work. Proposal and Artist Statement of 1 – 2 pages including how you will explore the archive, how you intend to incorporate archival material into your piece and how you heard about this call. To apply, please email a pdf. document to Project Coordinator, Elizabeth, at homemade@regentparkfilmfestival.com with ‘Media Artist Submission’ as the subject line. The Canadian archives are lacking in home movie footage from Indigenous people and People of Colour. As old film reels and videotapes threaten to fall apart with time, Home Made Visible works to preserve this history and explore how archives have the power to shape who we become and how we relate to one another. Invites Indigenous people and People of Colour across Canada to digitize and archive home movies from before the 20th century. Engages Indigenous and media artists of colour to create works that explore how archives shape the ways we engage with the colonial system and think about collaboration and coexistence between our many communities. Tours an exhibit of the completed artworks, and selected clips of home movies across Canada, to start conversations on how our diverse histories converge on this land and reimagine the terms in which we shape our shared future. 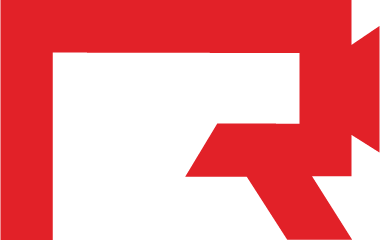 Regent Park Film Festival is Toronto’s only free community film festival. In addition to the Annual Film Festival and Under the Stars: Movies in the Park, we host year-round film screenings, school programs, and workshops at no cost. We are dedicated to showcasing local and international independent works relevant to people from all walks of life, with a focus on inviting those of us from low-income and public housing communities. The films we present break stereotypes and show that no one place or person has just one story.